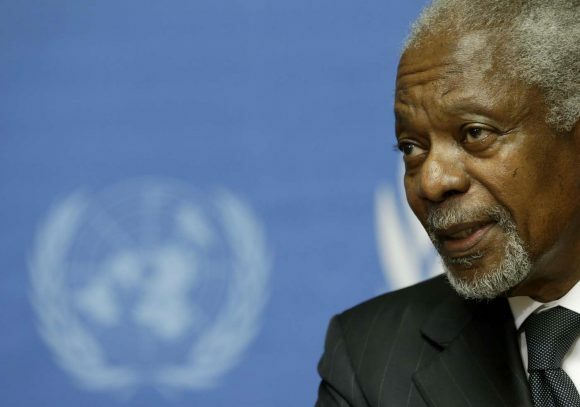 Kofi Annan, best known for his 1997-2006 stint as secretary-general of the United Nations, was in Ottawa last Thursday, May 23, to talk about pluralism. I was interested in hearing him because Canadian Brian Stiller, global ambassador for the World Evangelical Alliance, (headed by another Canadian, Geoff Tunnicliffe) speaks well of the concept of pluralism. Stiller believes thoughtful and outreaching Christians should learn to understand and use pluralism to communicate respectfully and warmly with people and groups that are parts of non-Christian religions. While he does not think that we should back down on our Christian faith, he believes that serious Christians, Muslims, Jews, Sikhs, Buddhists and others can live and work in close proximity without engaging in constant clashes. Stiller talks more about this subject in his blog, at www.dispatchesfrombrian.com, under the topic of Reminding those who debunk pluralism, what it really is. I will leave it to Stiller to stake out his position with OttawaWatch readers, and proceed to Kofi Annan… and the Aga Khan, under whose patronage Annan was in Ottawa. The Aga Khan, the very wealthy leader of the Ismaili branch of Islam — generally regarded as that faith’s most liberal and outreaching manifestation, developed, in recent years, the Global Centre for Pluralism and headquartered it in Ottawa. It ultimately will be a $60 million project — one-half sponsored by the federal government, which made the commitment in 2007, shortly after the Conservatives took office. It is to be housed in the former War Museum on Sussex Drive, right behind the National Gallery on the banks of the Ottawa River. Environmental and renovation issues are holding up its redevelopment. 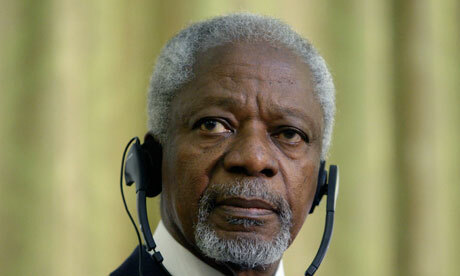 You can get the full text of Annan’s speech on the GCFP, at www.pluralism.ca. And you can also see video of the Aga Khan’s remarks. As well, there is an a video interview with Annan, conducted by Globe and Mail editor John Stackhouse, an apparent distant relative of a man by the same name who teaches at Regent College. I will limit my comments on Annan to note that he did an interesting comparison-and-contrast between Kenya after its violent 2007 elections and Syria today. He has been involved in both places, in trying to bring peace. It eventually came, in small measure at least, in Kenya. And he maintains that recognition of pluralism — a respect for religious and ideological diversity — helped pave the way to an eventual power-sharing arrangement. He holds out faint hope for the same thing in Syria, and suggests that collaborative action on the part of the United States and Russia is one of the keys to peace there. The United States needs to put pressure on the fragmented opposition to keep the more radical elements at bay and the Russians must force the regime itself to listen to reason from the outside world, he maintained. I will wrap today with an Aga Khan story that ties in to the early 1980s, when I was editor-publisher of Burnaby Today and studying for my MBA at Simon Fraser University. The Aga Khan was in Burnaby to lay the cornerstone for what ultimately became the Ismaili Jamatkhana on Canada Way. When completed, it was a commodious edifice, every bit as impressive, from the exterior, as Willingdon Church, the evangelical megachurch down the street and around the corner on Willingdon Avenue. I mention this to make the point that members and leaders of Willingdon Church were accused wrongly and unfairly at the time, of trying to block construction of the the Jamatkhana. The fact was, as I recall, that Willingdon Church, whatever its differences with Islam, welcomed its new neighbours and wished them well, on the appropriate occasions. At Burnaby Today, my advertising manager was Laila Graham, an Ismaili, who had worked at a Nairobi newspaper where she met her husband, Neil, a Brit ex-pat journalist. The Aga Khan had spoken appreciatively of Christians during his Burnaby appearance. And Laila commented at the time, that her boss had replied just as diplomatically about Ismailis, in his BT column. Those were the days. Last Thursday, the Aga Khan was showing his age, leaning heavily on his cane. But he still spoke strongly in voice that reflected a grace, that wherever it came from, made him easy to respect in other parts of the faith spectrum.